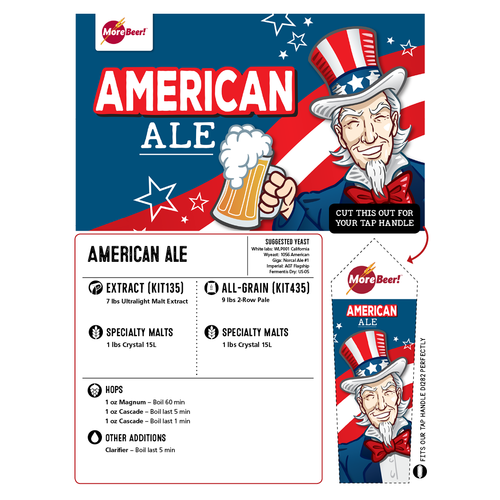 Our American Ale is a light colored, hoppy Pale Ale that really depicts the Cascade hop in both flavor and aroma. Light in color but not in flavor! I checked the ingredient list. Good base kit and with the extra ingredients I already have at home, this will be one awsome ale. Introducing a friend to homebrewing. Wanted to start with a simple pale ale extract kit that didn't break the bank. 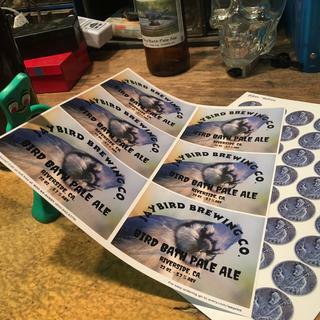 This beer was our first attempt at brewing and it was awesome. 15% off great deal thanks . it is what came in with my home brew kit.. it was very good!! Lots of compliments on it!! I have brewed this three times now and I can’t believe the consistency and quality for such an inexpensive extract kick. Just love it. Going to order the American Pale Ale II kit next just to see if it’s as good as advertised. Not been brewing for a long time but of the 8 batches so far this one always steals the show. My wife is not much of an ale drinker, but she really liked this one. This Ale had a great taste and aroma. Very smooth, with a slight bitterness. Not overwhelming. It was a big hit with my buddies. The instructions say it's estimated to come out to a 4.5% ABV, but mine came out to just under 5%! I would definitely brew this one again and I recommend it highly! Great extract kit, beer turned out great, gave 2 samples to locale bottle shop, they loved it and everyone i shared it with loved it too. Won't be brewing extract again. This being the only extract batch I've ever made, I'm really unimpressed. All grain is the way to go if you want superior flavor. An amazing value. This is a great session beer. Not be your mind hoppy or I just ate a load of bread malty. Very nice balance. I cold crash mine with gelatin and it comes out a beautiful clear gold color. Figure five gallons is 40 pints out about, fifty bottles for $30. And should you need more hops, easy peasy to dry hop or double the Cascade. We have brewed this extract kit multiple times with excellent results for both bottles and kegging. This is a perfect extract kit for beginners in that the steps are very simple and primary brew takes under 2 hours including cleanup. For bottles, allow 3 weeks to condition. This brew has a nice light brown color and perfect head with a nice hoppy aroma. Household favorite! Brewed up second batch last month. Consistently excellent. Brewed this kit and love it. Very hoppy. This was the first kit that I ever purchased from More Beer, roughly 5 years ago and I keep going back to it. We have bottled and kegged American Ale and the consistent flavor, aroma and perfect two finger head make this kit a no-brainer. This is a classic session ale that will please all. I particularly would recommend this kit to anybody new to homebrewing, as the directions are easy to follow and the results never disapoint. This is a nice beer. I usually try to keep a keg of the Bitter American on hand as my go to session ale. I might be switching! It came in at 4.5%, nice balance, and very tasty. I always use a yeast starter, and the White Labs 001 works well. I did not use a secondary, and transferred to the keg after 2 weeks. I did let it sit in the keg without carbonating for an additional week (with just a bit of CO2 to protect the beer from oxygen) to let the yeast "clean up" anything that might need cleaning up. 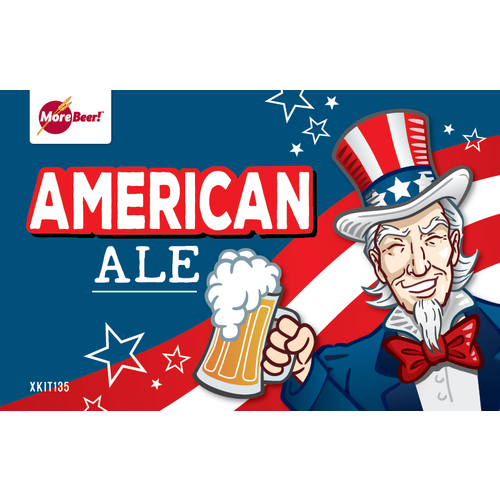 It's a nice, easy to brew low alcohol American Ale, with just the right amount of balance. Like Scott M., I also like this kit to use as a starting point to experiment. Will be adding candied ginger to the next one. Great kit... Easy to make again and again. Great for those just starting. Initial success will keep you coming back for more. I agree with scott m...this will be hard to mess up. 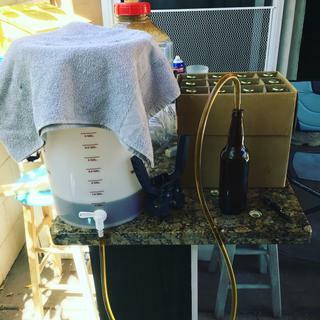 It was my first batch, couldn't believe I could drink my own beer, and the rest is history. I purchased this with my beer making equipment. Good way to start, highly recommend. This is one my "Go To" beers. Always a favorite and always easy to replicate! Great Recipe! I've brew this kit "as-is" and I have added extra hops; either way it's good beer! This beer is my second extract brew. I brewed this as a full boil and added 1oz clover honey at 60min and 1oz at 5min in an attempt to boost the gravity. This beer turned out amazing. It has great hop character and excellent flavor. My wife, who is not a hop head, and I love this beer. I will be brewing this again. You can brew this kit straight, or start with it and play with recipe-building. Add some hops, steep something extra, experiment with yeast, dry hop, etc. Whatever you do it won't disappoint. Whenever I am ordering kits I add this one and use it to try something new. In Germany I enjoy my beer warm (room temp). This ale fit that perfectly. Great taste at room temp. My son only drinks Bud, and likes it. Will be brewing this again. This kit turned out to be an excellent Brew. Only thing I would say is that it does come with a lot of hops, makes it a rather hoppy brew, still great though! 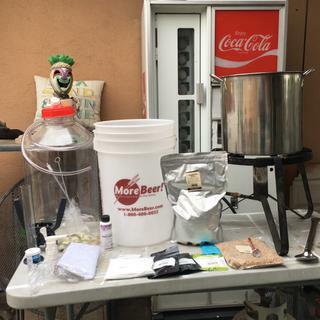 This was our 5th different Brew Kit(and 5th Batch)and once again was pleased with the wonderful experience in both the process and the results. This is going to be one of our Regular, base kits that we brew year round. We chose the Calif Ale Yeast from White Labs. I did add about a 1/4 of the boil hops to the steep and found it gave a more complex flavor. I recommend for the beginner or first time Extract Brewer as this kit is almost fool proof! 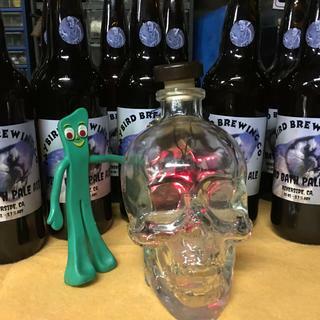 First beer I ever brewed! I wanted something middle of the road for my first effort. Great Beer! I will make this one again. 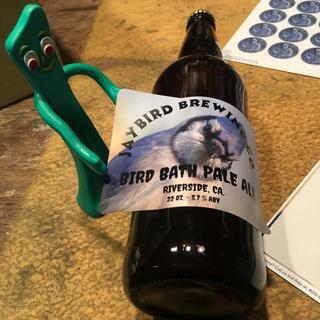 Clear, well written instructions, labeling and packaging made this a real pleasure to make. This was the second batch I'd ever brewed and found it very straightforward. Accurate as described, and my measurements came out nearly exactly as described in the kit. Next time might add a bit more malt and hops to kick it up a notch, but this was a hit at a summer party. Very good! I keep comming back to morebeer for mt kits. The beer always turns out great and there very consistaint. This beer turned out wonderfull. To me it's a perfect pale with great mouth feel and aroma. It will beat anything you buy in the store bar none. 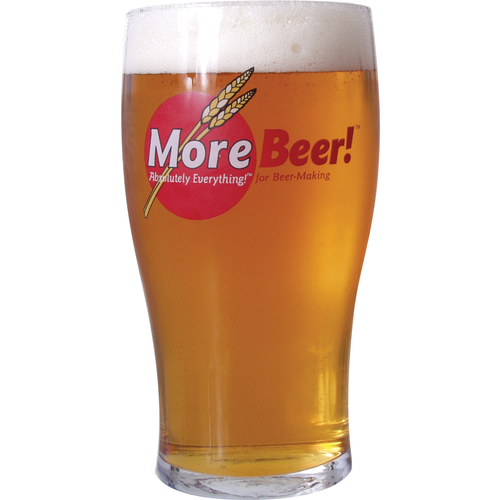 I can not say enough about Morebeer. They don't skimp on ingredients per price. Not to mention the free shipping. Looking forward to many great years with them. This was my first kit from More Beer, and I loved it. I did make sure my water was profiled for pale ale, made a yeast starter and oxygenated my wort. I used Safale 05 and it was absolutely perfect. Mine had a little chill haze which is only flaw. I've been working through my first batch of this since if finished force carbonating a few days ago. Pretty downright amazing and tasty. I had some of my flat-mates give it a whirl, with very favorable responses. Highly recommended. I know I will be getting this again.